My pantry is cluttered with odd ingredients, a reflection of impulse purchases made after seeing recipes for “ultimately authentic” dishes I feel I have to make immediately. As I often don’t make these dishes immediately, I end up collecting tubs of tamarind concentrate and palm sugar (purchased for pad thai) and shrimp paste (for satay sauce) and fermented black beans (for mapo tofu). Often these ingredients sit untouched for months (years), or they get dipped into, stashed in the fridge, forgotten, and ultimately unnecessarily re-purchased when I see that next completely authentic recipe I have to make immediately. It’s a vicious cycle. A few unseasonably hot days last week had me craving chilled soba noodles with dashi, a favorite summer meal I first tried at Morimoto, where they make it with green tea soba noodles — SO good. After scouring my pantry and finding myself making the usual note to self — purchase bonito flakes and kombu promptly — I paused. Certainly I could make something that could satisfy this same chilled soba craving without going down my usual pantry-cluttering path. I remembered a peanut dressing I used to make ages ago from The New Moosewood Cookbook made entirely with ordinary ingredients — peanut butter, cider (or other) vinegar, fresh lime or lemon juice, garlic, crushed red pepper flakes, etc. Without a smidgeon of fermented beans or a flake of dried seafood, this mixture is spicy, sweet, salty, and sour hitting all the sensations that make whatever it’s dressing so irresistible. I’ve added sesame oil and Sriracha to the mix, which I, and many of you I believe, would hardly categorize as odd at this point. While the dressing is thin and light — it’s made with a cup of water to 6 tablespoons of peanut butter — and, in the book at least, intended for a “Thai” green salad, I love it drizzled over cool soba noodles. For the past five days I have used the dressing on some sort of soba noodle salad every night, using carrots, shredded cabbage, leftover roast chicken, and crisped tofu in various combinations, but this is my favorite: sliced cucumbers, scallions and peanuts. 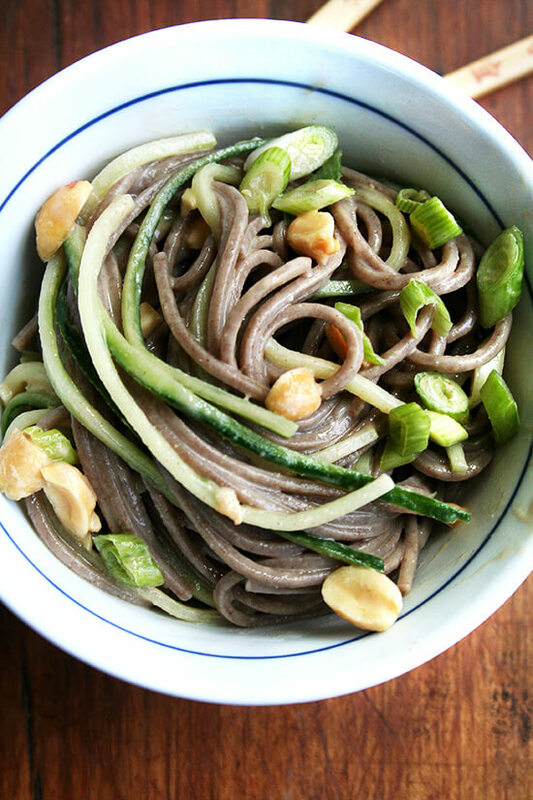 There’s something about its simplicity that I love, the noodles and julienned cucumbers melding together, the only crunch provided by a handful of peanuts. Of course, this salad can be tailored to your liking and additions such as carrots and bean sprouts and chicken offer substance, making it a one-bowl meal that takes minutes to prepare and tastes both satisfying and refreshing especially when the temperatures start dipping into the upper 80’s and 90’s. This Virginia spring has come on strong, sparking the onset of diminished motivation in the kitchen much earlier than usual. I haven’t turned the oven on in three days. I need to toughen up. It’s going to be a long summer. Note: This salad can be scaled up or down depending on how many people you are serving, so adjust quantities as needed. 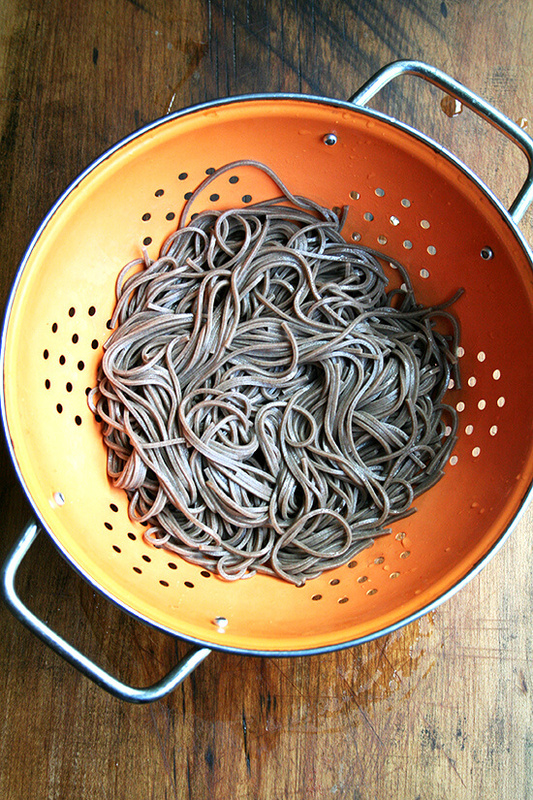 Let the noodles dry in a colander, and if need be, gently pat them dry with some paper towels. Meanwhile, julienne the cucumbers on a mandoline or slice them into slivers with a knife. 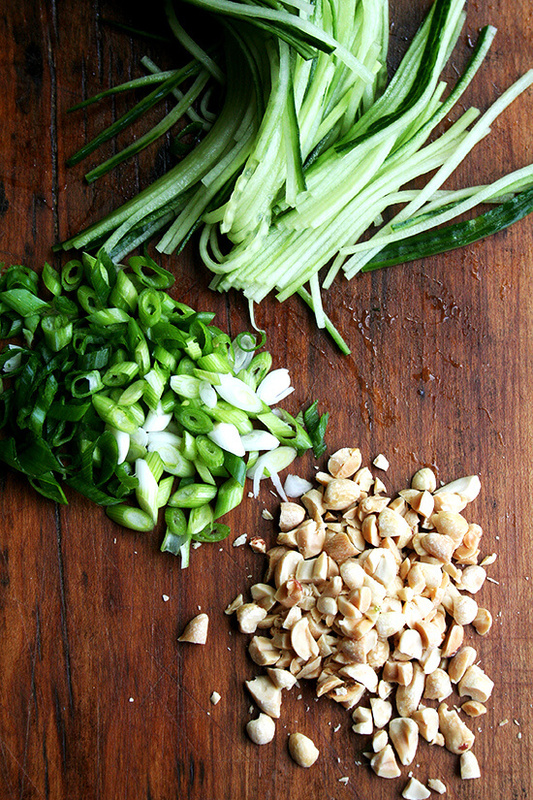 Chop scallions thinly on the bias (if you wish). Coarsely chop the peanuts. 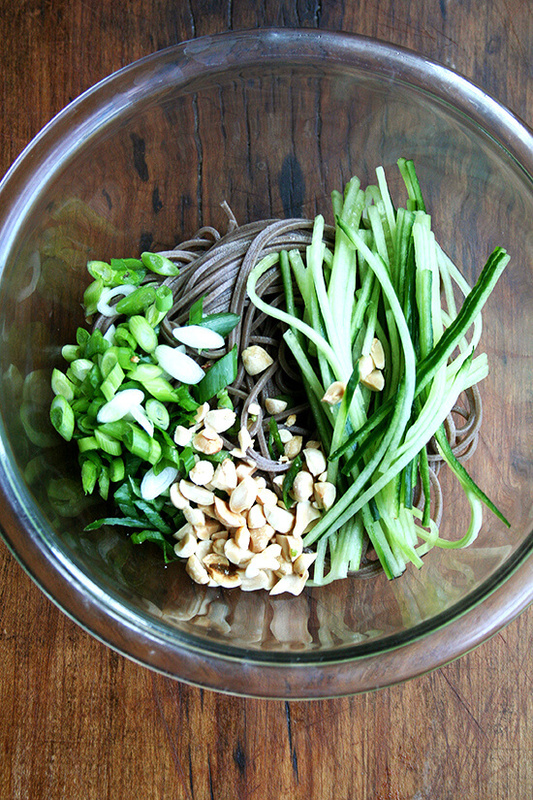 Place noodles, cucumbers, scallions and peanuts in large bowl. Pour dressing over top. Don’t be afraid to pour it on — it’s light light! (as my grandmother would say). Serve with more Sriracha or Sambal on the side. Notes: the first time you make this dressing it will likely taste a little flat. I find it hard to get the seasoning right because of the warm temperature of the mixture and often make adjustments the following day or after it has cooled in the fridge. I never find the 2 teaspoons of lime juice to be enough and almost always add the juice of a whole lime depending on its size. The dressing will feel really thin — too thin — but it works. I add the sesame oil for both flavor and body, but this is not in the original recipe, so feel free to leave it out if you don’t like that flavor. And I add a hefty dose of Sriracha, not only for heat but for flavor — it provides a nice bite in addition to heat. I like to make the dressing a day in advance to allow the flavors to meld and to let it cool down, but you can always stick it in the freezer to let it cool down faster. Alternatively, you can make the dressing in the food processor using cold water. Place the peanut butter in a bowl and whisk in the hot water until blended. Stir in the remaining ingredients. 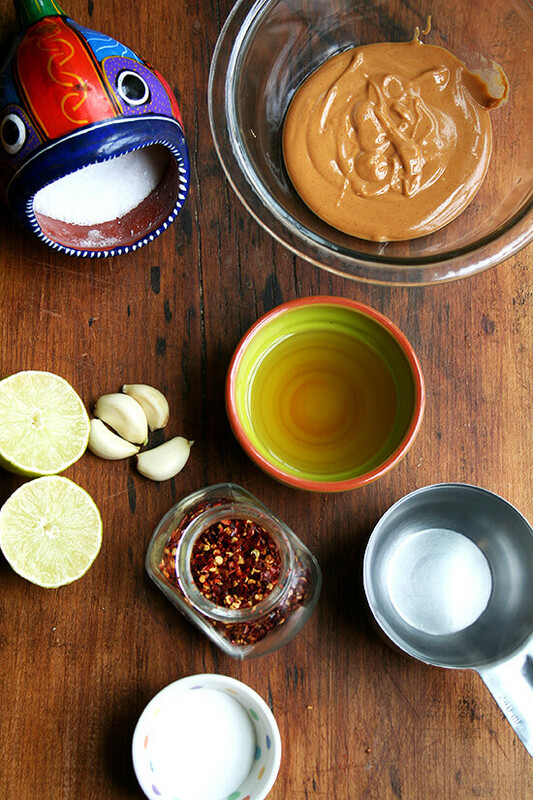 Adjust seasoning as necessary with more lime juice, salt, Sriracha, sesame oil, etc. As noted above, sometimes it’s easier to make adjustments after the dressing has cooled down. Reading your post, I had to ask myself… Is she writing aobut ME? Sallybr and Laurie — So glad you can relate to the vicious cycle! As always, a great looking dish! You were saying that the dressing seems like it needs something–I wonder if you have any fish sauce in your stash? When I saw the list of ingredients, it was the first thing that popped in my head for that little flavor kick. 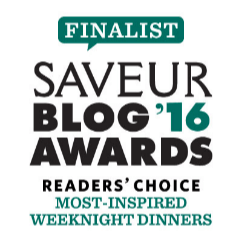 Tracey & Alicia — Yes, definitely, fish sauce would add the perfect pick-up to this dressing! I just want people to know that they can make it work without the addition of something like fish sauce, which I love, but which not everybody always has on hand. This dish looks perfect for the season. 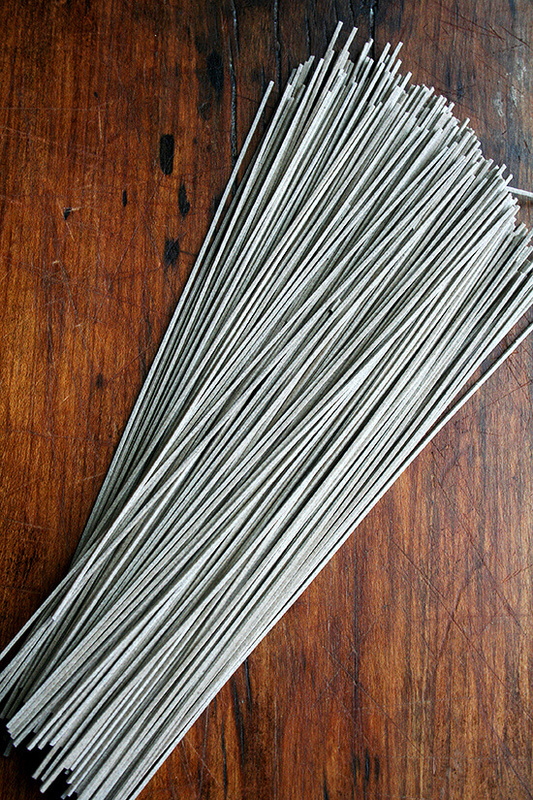 If you ever see “cha soba” in your travels, pick up a package or two. 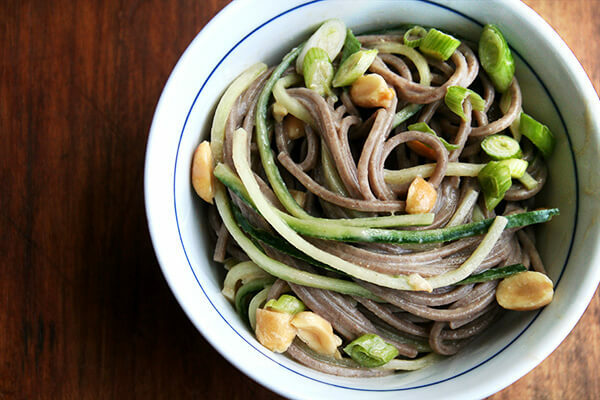 These “green tea” soba noodles are so delicious and worth the space in your pantry! Wendy — those are the kind they serve at Morimoto, where I first had the chilled soba noodles with dashi — they are so good. I don’t think I’ve ever seen them at the store, but I haven’t been to a really good Asian supermarket for about 2 years now. I know there are some not too far from DC, and I have been meaning to explore. 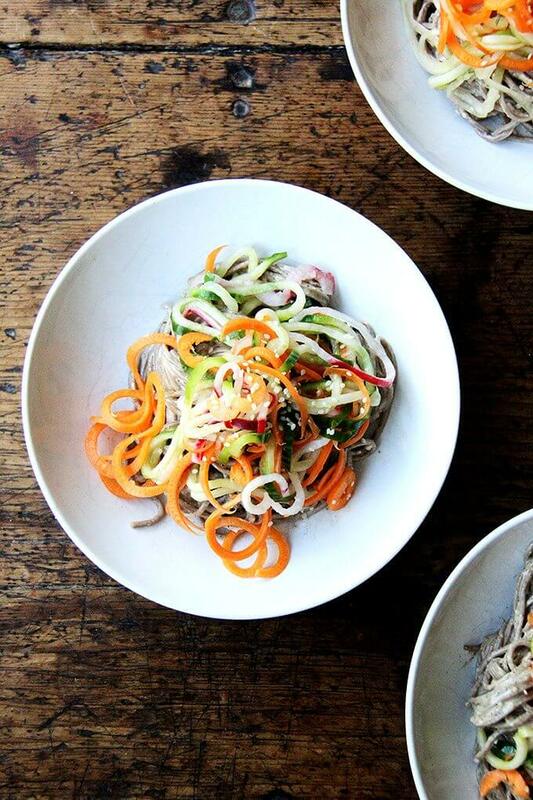 That looks really good – and I have some soba noodles! I think I’d probably use fish sauce instead of salt in the dressing though. 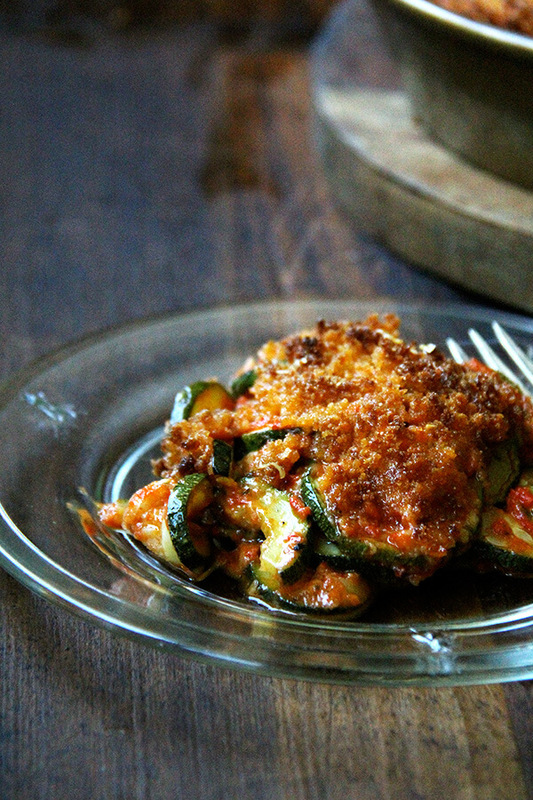 This looks delicious and perfect for weeknight meals/ lunch leftovers. Okay, I have to start by admitting to be a member of the pantry, hang your head in shame, department….but, think of it this way, we wouldn’t buy the stuff if we didn’t have wonderful intentions and it’s not our fault that we have things like children, pets, spouses, jobs etc etc. 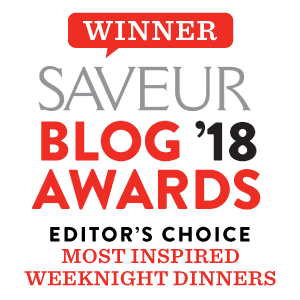 Now to my question duckie, I went into the link for the cookbook “The New Moosewood Cookbook” and there were a ton of reviews, most of which loved the book and some of which did not….what do you think of it? You must like it! I’ve never cooked out of a vegetarian cookbook but the references to cooking with herbs interested me greatly….I still have no kitchen to cook in but hope springs and all that…the garden is being deluged by rain, yay! and very cold spring weather…brrrr….. Since we’re all confessing here…full disclosure, I bought two different bottles of fish sauce for a recipe because I wasn’t sure what type to buy. Now I have more fish sauce than I’ll need in one lifetime and I was mercilessly teased by Asian girlfriends over it! So, I’m going to figure out a way to incorporate it into a lot of things! At least it’s not expensive! Btw this sauce would also be perfect for Indonesian “Gado Gado”, lightly blanched vegetables topped with bean sprouts, peanutsauce and crushed shrimp crackers on top (of course deep fried yourself!). Dorothea, that sounds wonderful! I actually have some vegetables that I could use for this very dish. Now, have you made the crushed shrimp crackers before? I read about this most-adored dim sum item (maybe in this month’s bon appetit?) 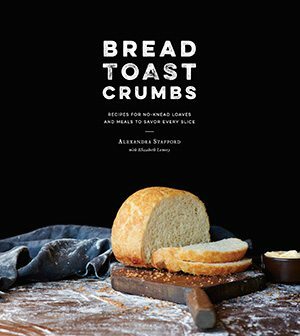 that called for spreading bread with shrimp paste and deep frying the toasts. Is that the same thing? I am intrigued. Love the simplicity of this dish!!! Sure its packed with tons of flavor!!! I do the same thing as you and horde random new ingredients…but since we are moving countries in 4 months my goal is try and use up my kitchen supplies as much as possible. Don’t suppose you have any recipes that will help me use up an entire new tin of hot paprika and also cumin?? 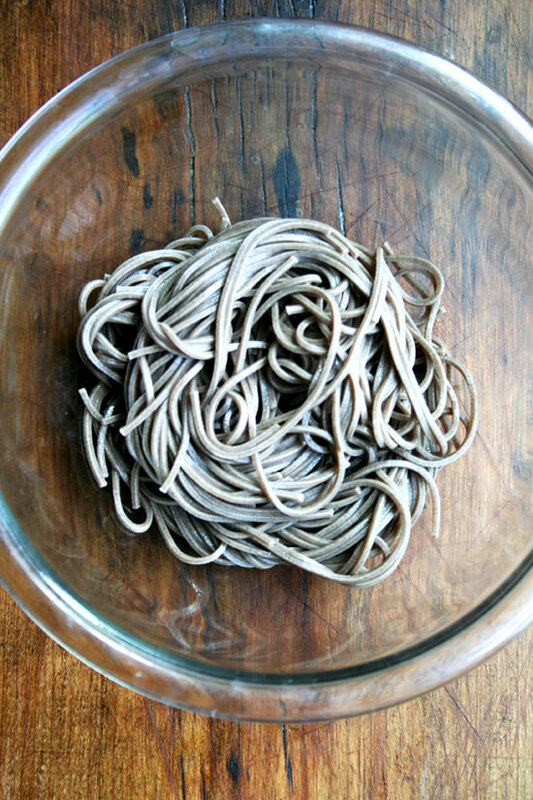 I LOVE soba…even just the basic version with some wasabi and the soba dipping soy sauce. Explody Full — Where are you headed? I am so excited to hear about your upcoming adventure. Yum! I can’t wait to try the peanut dressing. Is there a way to thicken it and use it as a dipping sauce? Less water? Thanks! Rachel — I haven’t tried but I don’t see why not. Maybe start by adding only a third cup of water — or better, if you like this sort of thing, coconut milk — and then add until the consistency is right. Sounds delish. Might have to dry this myself. LOVE this recipe! 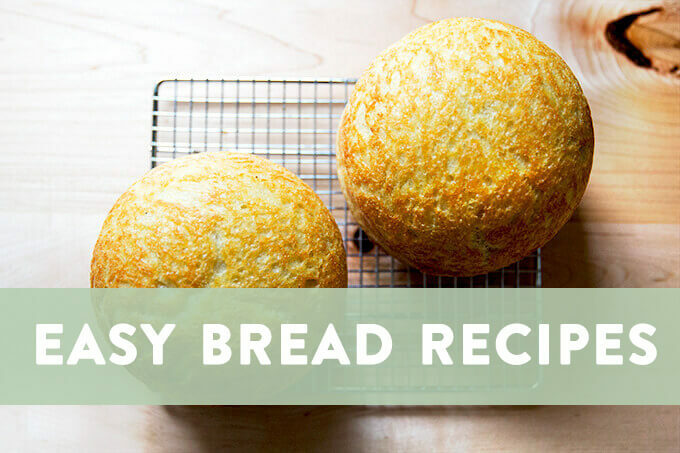 Mostly because is looks and sounds amazing and highly satisfying…but also because it uses all ingredients that I always have on hand! My hubby is positively addicted to Sriracha (and hot sauces in general). 🙂 I also love the versatility and all the things you can do with the sauce. Thank you for all the great ideas! I had to chuckle at your comment about all the left-over ingredients from various recipes…that is SO my cupboard as well! This one goes to our Pinterest Board (https://pinterest.com/deliciouskarma/pastas-noodles) and Facebook (https://www.facebook.com/DeliciousKarma)…a new favorite even before I make it myself! Oh Michelle, so happy to hear this! 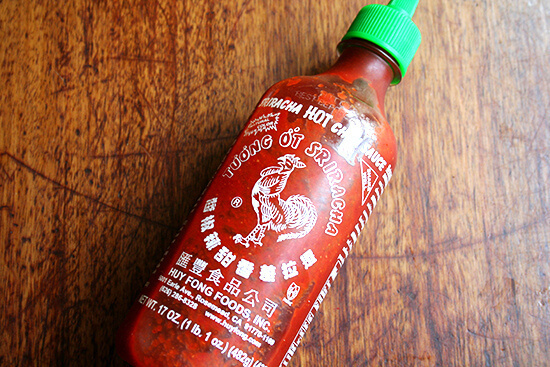 And as much as I love Sriracha, too, is the positive addiction to the sauce a guy thing? My husband is obsessed, too 🙂 I know, isn’t it nice to know you can make something so delicious and “exotic” tasting with pantry staples? I made this last night– a perfect Sunday night supper although it would be perfect any night of the week. It is light and delicious. 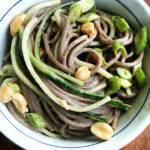 I didn’t have soba noodles on hand but I did have Korean buckwheat noodles, which worked well. The soba noodles are a little toothier, which I prefer, but the Korean noodles are delicate and tasty (cooked in two minutes). 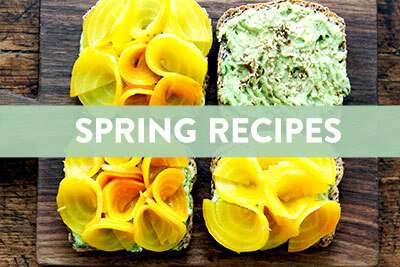 It is a lovely recipe and will become a summer staple. I served it with steamed baby bok choy. Oh and I added just a tiny bit of grated ginger to the noodles. Elizabeth — wonderful to hear this! Love the idea of adding a smidgeon of ginger to the sauce. Yum! Eeeh no but that’s sounds very tempting, I just mean the shrimp crackers you can buy at the Asian store and you deep fry them, they have different types. I use “Krupuk Udang” from Indonesia. I looked at the ingredients: Tapioca flour, fresh shrimp, sugar, eggs and salt. Right out of the fryer, delish! You crush them on top of your peanut sauce or eat them just as is. Johanna — wonderful to hear this! I am making it again tomorrow night for dinner. It’s just so refreshing and so satisfying to me. So glad you approve! I can’t wait to try this sometime soon – and I like your idea of adding tofu. What do you think would be a good way to cook it up for this? Katie — I have a few thoughts. When I made it, I used extra-firm tofu, which I had weighted down and drained for an hour or so. I then just cut it into cubes and browned it quickly. Truthfully, I don’t think this is the best preparation for it. And browning tofu can be such a mess. I actually think adding it to the salad raw might be the best bet. Next time, I would again use extra-firm tofu, and I would drain it and cube it again. 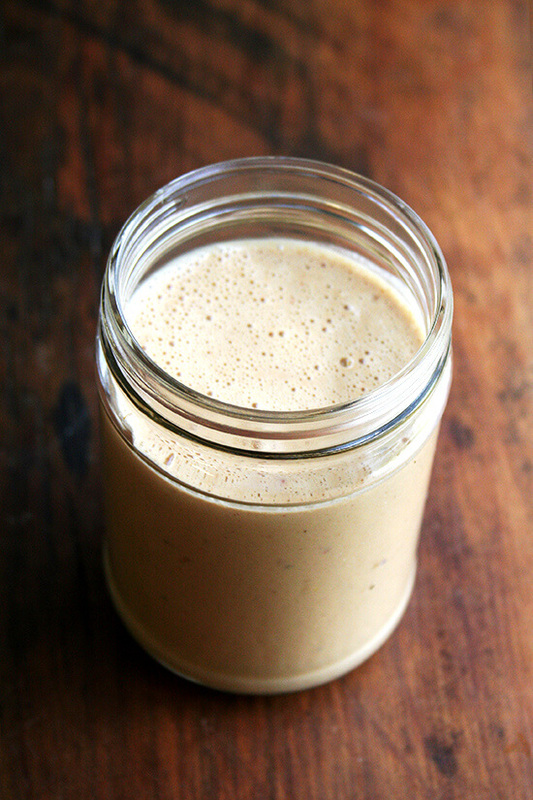 And then, I might actually try to marinate it in the peanut dressing for a little bit — you can marinate it overnight in fact if you are looking to get some steps out of the way. I hope that helps! I adore your blog and was so excited to try this recipe! I’ve been trying out various peanut sauces lately and this one has amazing flavor. Loved everything about it during dinner tonight and will be having it for lunch tomorrow! Thank you! Just made this. SO good! Added a few extra veg (pepper, celery and avocado) and it is divine! So happy to hear this, Grace! It’s one of my faves, too. Love adding chicken or tofu or leftover steak to make it a one-bowl dinner. Thanks for writing in! 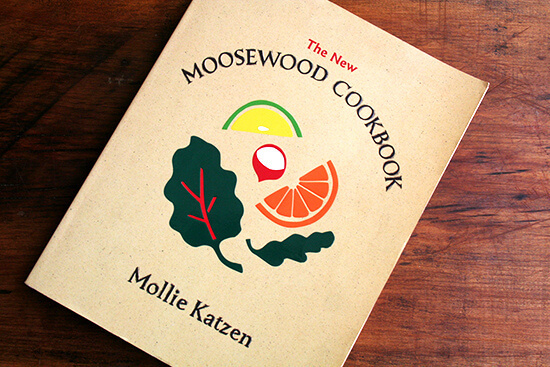 Love the Moosewood Cookbook! I have a very similar go-to peanut noodle sauce recipe, except instead of boiling water I use the salted, starchy noodle cooking water. Smart! I love it. Going to try that next time. Chalk me up as another with dozens of various ethnic ingredient stuffing my pantry shelves. Though I swear I use all of them, it just takes a while to get back to one as I cycle though everything. 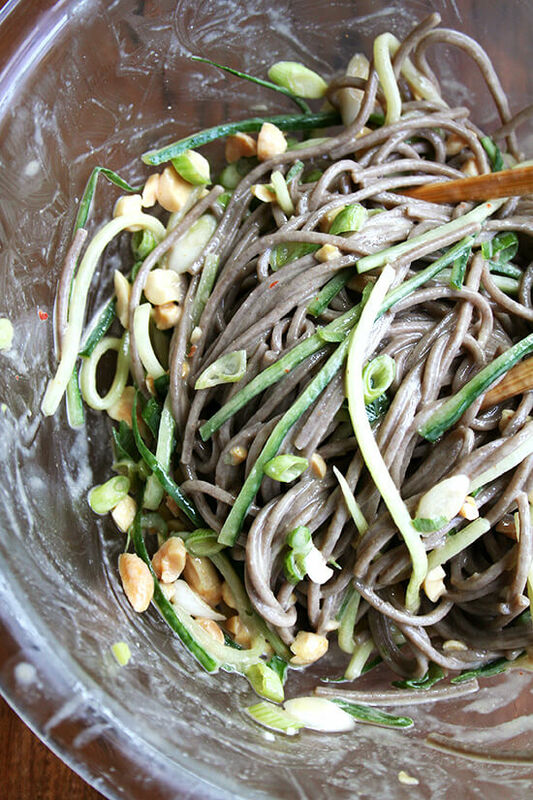 I found this recipe by searching for peanut soba – and it’s like you’re in my kitchen! I have a dozen cucumbers to use up and was planning on using half noodle, half cucumber – not something I’ve seen done anywhere before, but it seemed like a good idea. And here you are with a recipe for that exactly! I don’t have any peanuts on hand, and my scallions are dried (I can never go through a bunch without them turning mushy so I dried several bunches worth a while back and use those instead) so they will provide a bit of crispy crunchy texture instead! I’m thinking I might julienne some carrots into mine as well to get an extra punch of veggies. Wonderful to hear this, Jas! I hope the noodles turned out well for you. Love the idea of adding carrots, too. 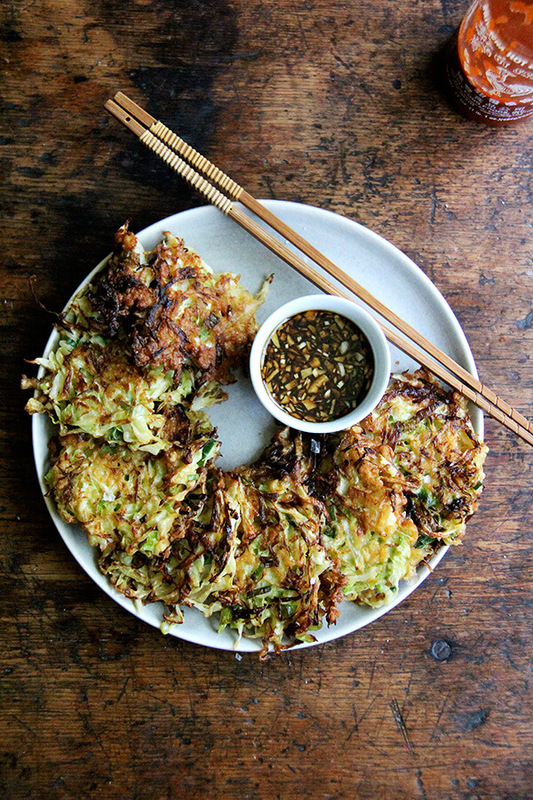 And I love a lot of cucumbers — something about how they melt together with the noodles. So yummy! How long can we keep in the refrigerator the peanut dressing? Thank you!! SOrry for the delay here! I’ve been away. Dressing can keep for at least a week. I’m kind of lax with these things, so I wouldn’t think twice about using it even after two weeks, but to be safe, I would say 1 week. Hope that helps! I just made this and it’s amazing! Your recipe was so easy to follow and I really enjoyed all the beautiful pictures included. I added carrots and considered mushrooms…maybe next time. Thanks so much for your post! May I ask what tool you use to get such perfectly julienned cucumber?? I’ve seen a few gadgets but some seem so super thin that it doesn’t look like it would give the right result…. Also, can’t wait for your book. I’m in China now, I imagine I’ll be longing to be back in NY for the farmers markets once you start posting more CSA and summery dishes for the season! Thank you for your kind words! Means so much to me! Jealous you are in China. I would love to visit there one day.